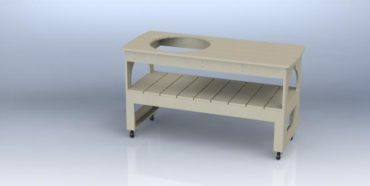 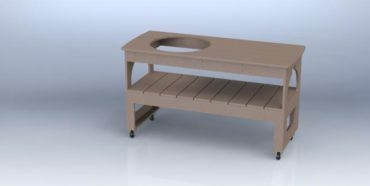 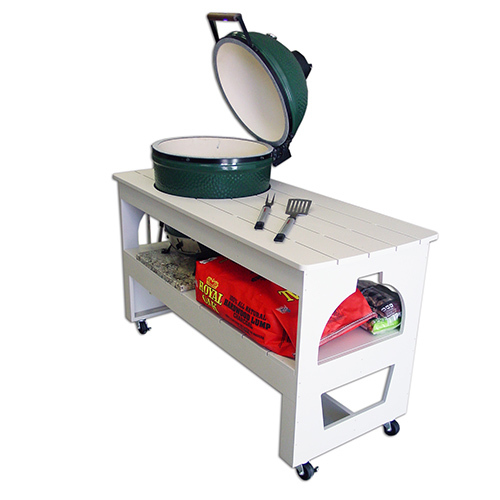 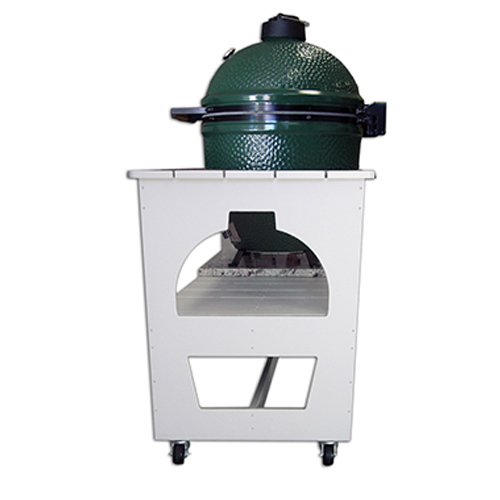 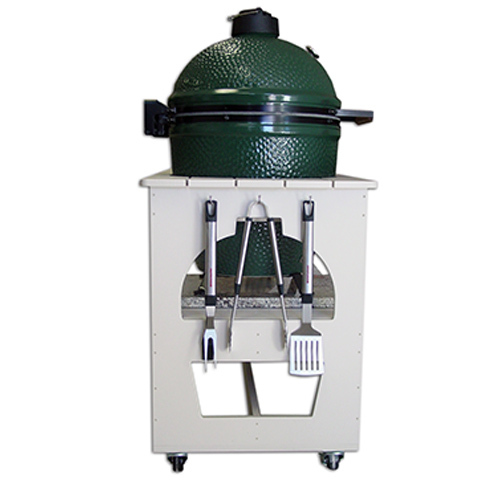 Our basic table that offers open storage and can fit many styles of kamado Grills. 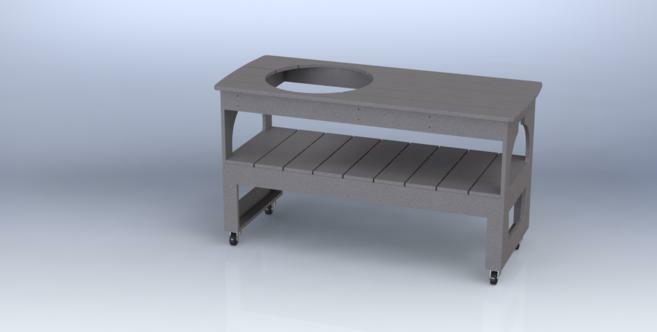 The Granite base shown underneath the grill is not included with the Table. This will help you determined the placement of your new Kamado Grill Table. Find out some more details on the Kamado Grill Table by downloading our brochure.